You must be a signed in CRNA to . Please sign in or sign up now. Save your job search parameters for later review. Saved searches will generate Job Alerts that will be sent to your Message Center. Your search resulted in zero results. Please try again. CRNAjobs.com, the agency. 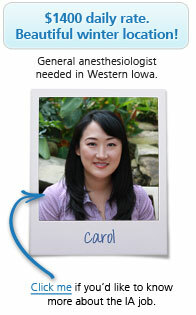 Recruiters: post your CRNA job opportunities. Call toll free 800-930-0756 © 2010 CRNAjobs.com. All rights reserved.